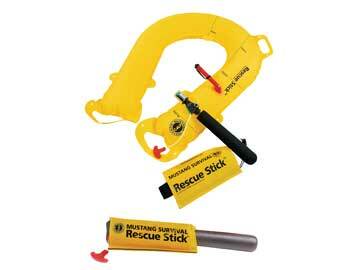 MRD100 - Incredibly easy to use, the Rescue Stick™ provides rapid flotation assistance to a person at risk of drowning. Simply throw the baton shaped Rescue Stick™ near the person. 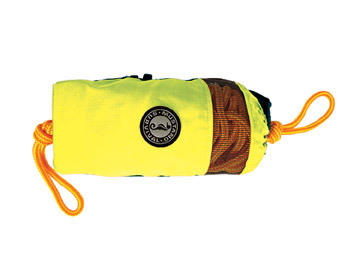 MRD175 - Mustang Survival MRD175 throw line bag is designed for water rescue professionals to allow for maximum throwing efficiency and ease of re-loading even with a gloved hand. 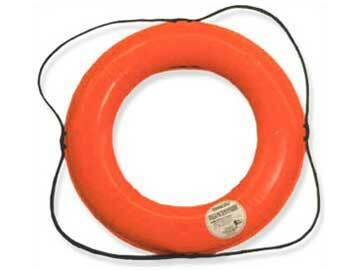 RB30 - Seahorse Ring Buoy's shell is made of tough high density polyethylene that is UV stabilized. 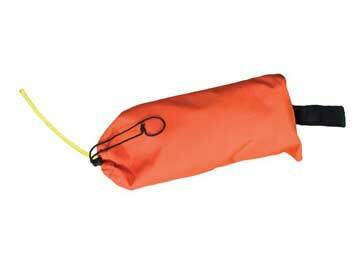 With 100% foam filling, the buoy will not absorb water if torn or punctured. MRD190 - The solution for rapid deployment of a ring buoy and rescue line. Compact bag holds 90' of 9 mm 16-strand hollow braid, UV resistant polypropylene rope which has excellent flotation characteristics. TPB30 - Heavy duty three arm aluminumn bracket for a lifetime of maintenance free use is available for 20", 24" and 30" ring buoys. 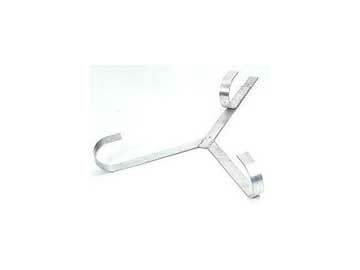 Ideal for mounting on pier piling or stanchion, as well as on cabin walls. 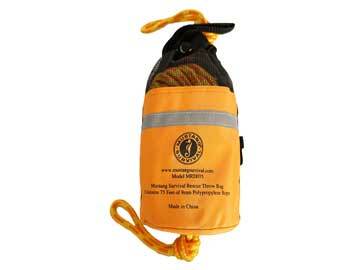 RBC - Seahorse nylon/vinyl orange fabric protects your buoy from the elements, work place environment, etc. 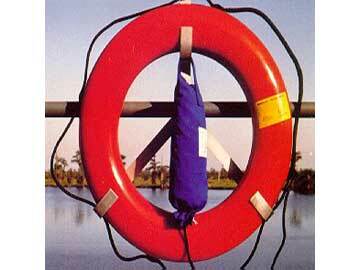 Prolongs the life of the buoy line. 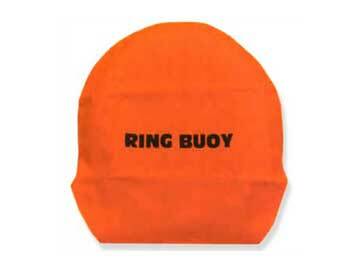 It is imprinted with the words "Ring Buoy". RAP-200K - This water and ice rescue rope tender kit is a convenient option for any rescue professional. 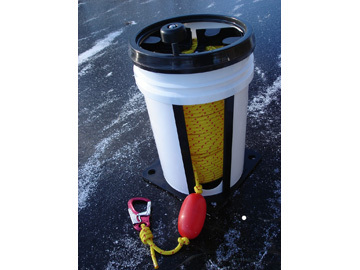 This kit includes Reel-A-Pail QuickWinder™ RAP-200 offering a re-usable, easy to use solution to drying and storage of water and ice rescue rope. MRK110 - The first person on the scene is not always equipped to execute a safe water rescue. Without the proper equipment and training, the first responder may not be able to execute a safe rescue, greatly reducing the probability of the victim's survival. 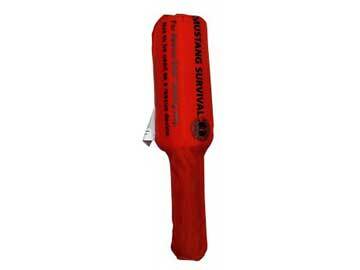 MRD050 - Rescue Training Stick is designed to allow rescue professionals practice throwing to a target as though there was a victim in the water. 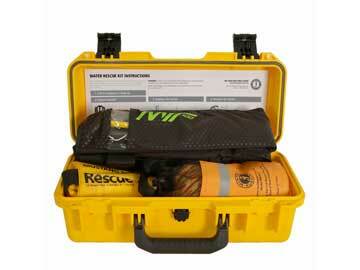 MRD050 is designed to have the same feel and weight as the MRD100 Rescue Stick™. 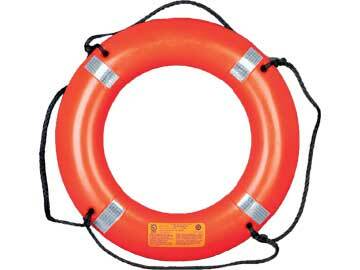 MRD030 - Mustang Survival's Ring Buoy shell is made of low density polyethylene designed for superior life expectancy in the most harsh environments. RB24 - Seahorse ring buoy's have a floating polypropylene grab line can which can easily be replaced in the field. SOLAS grade reflective tape is available for an additional fee.